Jessica Cooper’s paintings have a clarity of observation and mark making that create their own ambiguity. Forming connections, emotions evolving and revolving, the paintings are caught in time, place and circumstance. Her subjects are the familiar that anchor her in her life; isolated on canvas, we reappraise and interpret them through our own daily lives. We feel we know them, as indeed we do; they are part of the shared human experience. 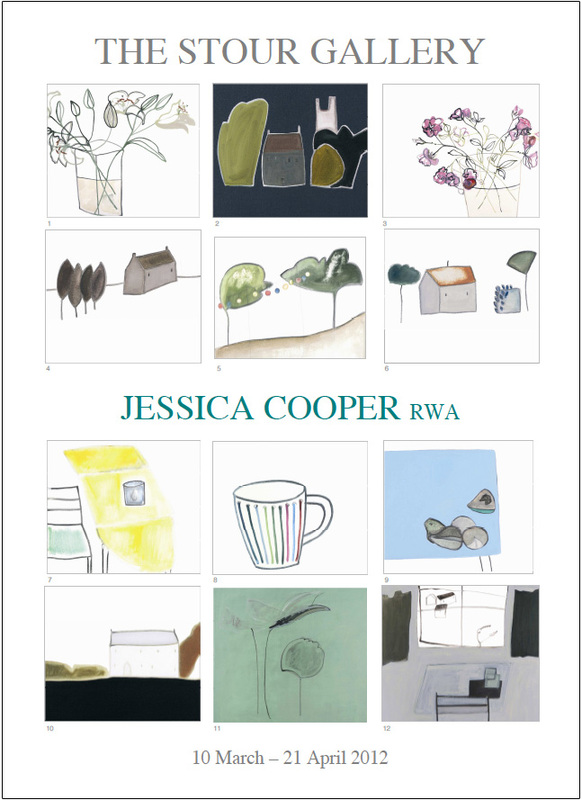 A sense of place, a sense of self, and a sense of the pathos of the house, the tree, the cup, flower or fruit, are the communicating elements of Jessica Cooper’s work; that these objects and landscapes cannot know the emotional response they trigger in us; the moment caught and held by the paintbrush and pencil; and underpinning and supporting, the emotional communication, a strongly intuitive but academic understanding of area, colour, form and tone. In many ways visual poetry of the sparest and most affecting kind. Stoneware and Porcelain vessels by three leading Danish potters: Anne Fløche's stoneware is freely expressive, with a bold and broad definition of form, depth and texture of glaze and an economic brush. Her crawling pigments and lyrically abstracted motifs enrich the poetic charge of her pots and reveal a sensitive, gently humorous eye for the shapes and characters of the natural world. Hans Vangsø studied at the Jutland Academy of Fine Arts in Demark. He makes bold woodfired pots, often square vases and large jars. He has exhibited widely in Denmark and Europe, and in 2002 was one of the artists selected for the major touring exhibition From the Kilns of Denmark which travelled to New York, Berlin & Paris.